Settling a lengthy court case battle between Lost Valley Farm and the Oregon Department of Agriculture (ODA), Judge Fredrick Clement made the decision to hand the second-largest dairy in the state over to an appointed trustee in order for it to continue to operate, according to Statesman Journal. However, Clement, a bankruptcy judge, ruled that te Velde was no longer the best person to run the farm. “Te Velde is unwilling, or unable, to comply with his duties as a fiduciary,” Clement wrote in his decision. "Since filing (bankruptcy), he has continued his long-standing habits of methamphetamine usage and gambling," Clement wrote. "Drug usage has occurred once or twice per week, and he has gambled estate monies of $2,000-$7,000 monthly. Te Velde borrowed $205,000 without court authorization, and in a one-month period took personal draws of $28,000 more than authorized." "The Lost Valley mega-dairy has been a disaster from the beginning, and hopefully this decision will lead to it finally being closed down," said Ivan Maluski, policy director for Friends of Family Farmers, in an interview with Statesman Journal. 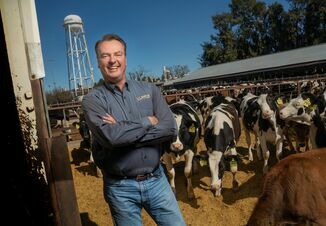 As he awaits for a follow-up hearing on remedies for the wastewater storage capacity violation, Te Velde will also lose control of his two California dairies – GJ te Velde Dairy in Tipton and Pacific Rim Dairy in Corcoran. 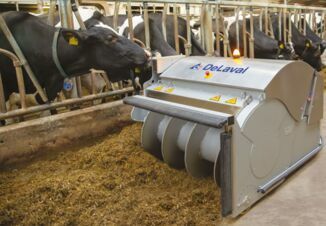 The appointed trustee will not only take responsibility for Lost Valley Farm, but for the California dairies as well. 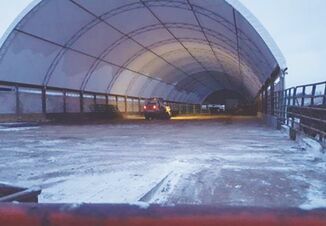 While it remains uncertain if replacing te Velde with a trustee will accelerate or slow environmentals improvements at the dairy, creditors are reluctant to approve any spending on the farm until a consultant completes a report outlining all of the costs needed. Te Velde also faces criminal charges in California for felony meth possession and bribing a police officer after an incident at a casino earlier this year.